Kelkay Quartzite Pea Gravel 10mm Bulk Bag: The Kelkay Premium Quartzite Pea Gravel has two size options 10mm and 20mm both are natural quartzite stone which is popular and hard wearing. 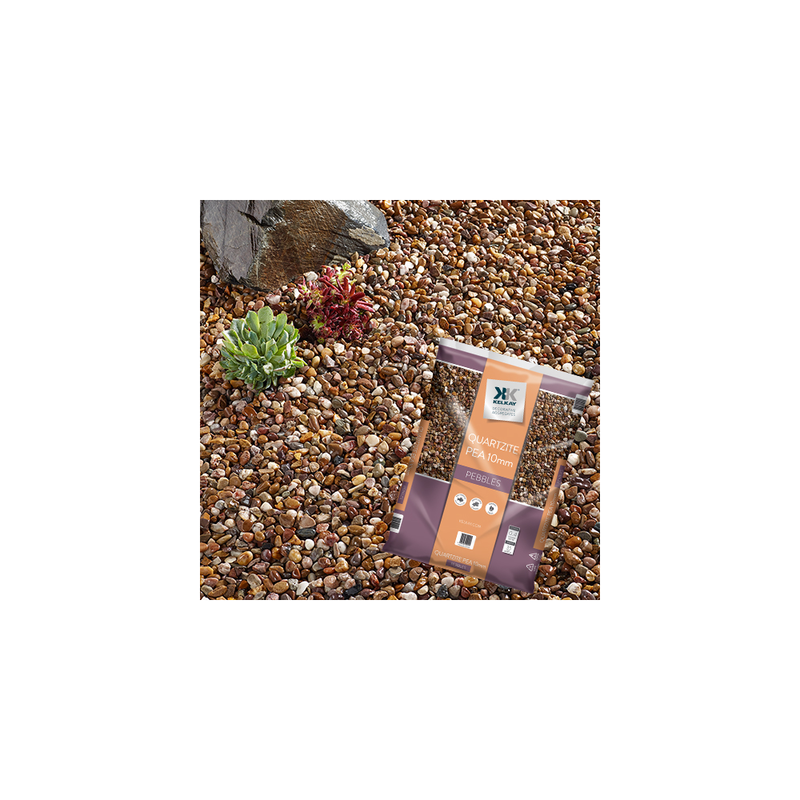 The rich harvest tones make this gravel ideal for: base preparation, patios, drives, paths, rock gardens, plant pots, flower beds and water features. Delivery not available to: Postcodes AB, IV and KW in Scotland and TR in Devon and Cornwall for information on delivery to these areas' - please call. Small pack shown in main image is for label illustration purposes only. This product is supplied in bulk bags.